Home / Blog / Are You Ready For A Website? Before getting started on a website, it is usually best to begin with understanding your goals, strategies, and tactics. Here are a few basics. Start with defining your goal. Why do you need a website? What is it’s purpose? It could be a representation of your creative legacy that you control, a sales portal, or something else. Once you have a goal in mind, you can start thinking about the strategy. What do you want to convey? Consider showing images of your artwork in a gallery, an artist statement, biography, and contact information. When you know what you want to show, the next step is figuring out the tactics – how to get it done. There are a variety of website services. Some are do-it-yourself, others may require outside help. If you need help, there are freelancer networks at your disposal. 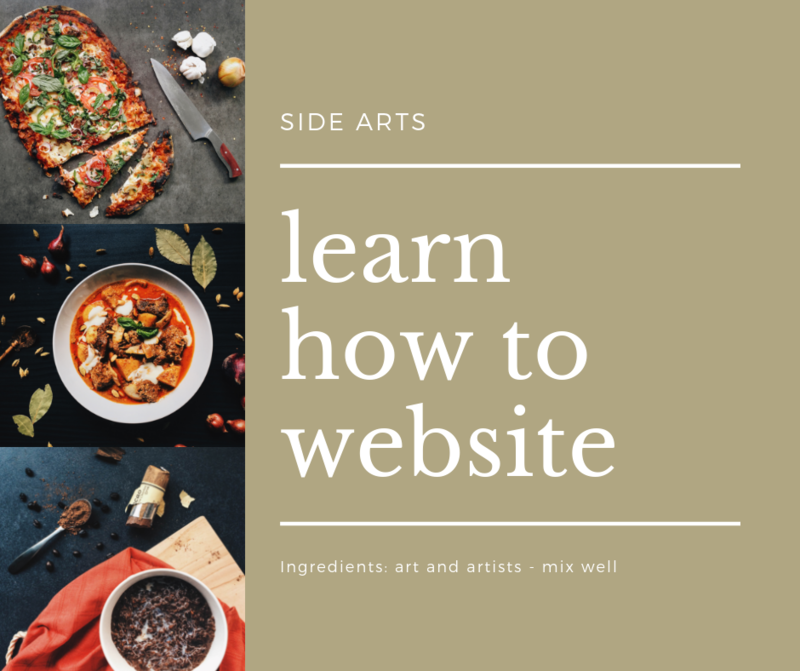 Check out some of the artist website designs offered by Wix. Their focus is on making website building super user-friendly. That’s it! Five pages to get you started. Before signing up for a website, editing the copy and images you want to have shown. You may need one image for the hero image on the homepage to be larger. I’m biased since I’ve been working on websites for a while, so I often think they are “easy and intuitive.” This is not always so. Even then, first hand experience is always helpful, especially when trying to explain something to someone else. Once your content is ready, give it a try. If you find it too confusing, by all means, stop and ask for help. I’ve organized the wireframe above to be the most helpful for a web designer. If you need one, try Fiverr – this freelance service offers web design help. Click here to see how Wix can help get you started. For more tips and help, read more on our blog.